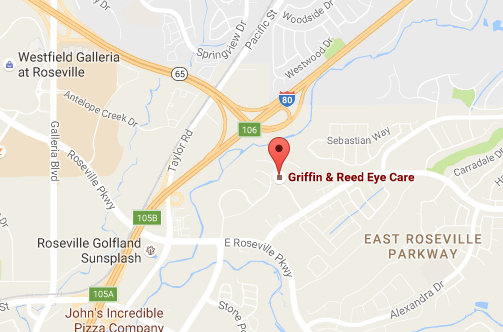 Safety for our patients is our first priority when it comes to laser vision correction. Not only must the health of the eyes and the patient be considered, but some critical standards of eligibility must be met. Testing of the eyes with scans and devices not normally used in routine eye exams help to include or exclude persons seeking laser eye surgery to make it the safest possible choice for each patient. Since laser vision correction is done on the cornea, the health and integrity of that part of the eye is critical for safe and predictable outcomes. Previously, doctors only had scans such as corneal topography as a method of measuring elevations, irregularities and curvature of the cornea. These topography scans are capable of showing possible problem areas, but are limited to a view of the front surface of the cornea only. Subtle abnormalities of the back, or posterior surface of the cornea are impossible to measure with conventional instruments. These subtle abnormalities of the back side of the cornea are often responsible for unpredictable and sometimes very poor visual outcomes after laser eye surgery. Devices such as the Orbscan I and II have been around for several years and give some indication of the posterior corneal surface, but often underestimate or overestimate true corneal contours and curvatures that are critical to surgeons advising patients seeking laser eye surgery. 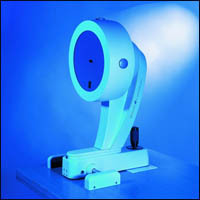 The lack of measurements that are repeatable and absolute has been a source of frustration to many laser eye surgeons. At times patients were told they were not candidates based on incorrect information, and even more critical, sometimes patients underwent LASIK surgery that probably should not have had surgery due to unreliable measurements. Then the Oculus company out of Germany developed the Pentacam. In our opinion the Pentacam is the ultimate diagnostic tool for laser vision correction surgeons. It utilizes a sophisticated Scheipmflug camera system that scans the anterior eye (cornea, anterior chamber, iris, and lens) and takes up to 25,000 measured data points in a scan time of 2 seconds per eye. From all this data a 3D model of the eye is constructed that can be viewed and analyzed by the doctor. The data collected allows us to view the eye from 25 different angles with a three dimensional analysis of all the structures mentioned above. Most importantly for potential laser vision correction patients it allows us to have a precise elevation map of the back surface of the cornea unparalleled by any previous technology. This information helps us to make sure the recommendations we make for laser vision correction will be as safe as possible. The 3D capability of the image allows us to see if lens implants for very near or farsighted patients might be a better option than laser surgery. We can also grade the level of cataract development in the lens of the eye and follow its progress with subsequent scans. 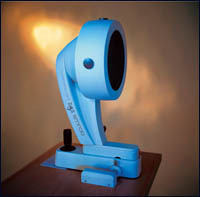 For patients who have undergone previous laser vision correction who are now or at some time in the future will be in need of cataract surgery, we are able to more accurately calculate the lens implant replacement power with the true corneal curvature measurements (keratometry readings) that are provided by the Pentacam. In addition some corneal conditions such as keratoconus, pellucid degeneration, or corneal ectasia can be monitored for stability or progression with the Pentacam. This allows us to help these patients with the best contact lens or other vision correction option for their particular need. Our enthusiasm for the potential uses of the Pentacam sometimes leads us to get carried away. Put quite simply, every patient we see who is contemplating laser eye surgery or lens replacement surgery is scanned with the Pentacam. That way we are able to provide the safest and most accurate treatment choices for those who put their trust in us. In our opinion there is no instrument that is more detailed, accurate, and helpful as a diagnostic device in determining a patient's candidacy for laser vision correction as is the Pentacam. Our office is the first in the greater Sacramento area to offer our patients the benefits of the Pentacam. 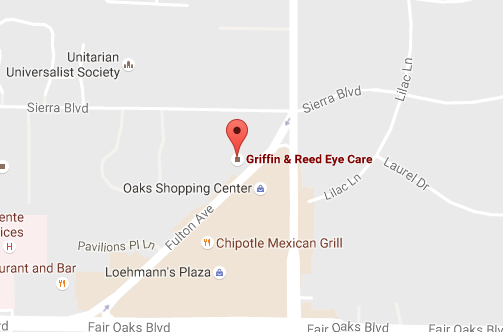 Call us at (916) 485-2020 to learn more, or to schedule your personal LASIK consultation.